In 1985, exiled filmmaker, Miguel Littin, returned to his native Chile disguised as a Uruguayan businessman to see (and secretly film) how the country had changed under the iron-rule of Pinochet. Littin's story, wonderfully rendered here by Gabriel Garcia Marquez, is part political thriller, part homage to his homeland, and all stranger than fiction. In 1973, the film director Miguel Littín fled Chile after a U.S.-supported military coup toppled the democratically elected socialist government of Salvador Allende. The new dictator, General Augusto Pinochet, instituted a reign of terror and turned Chile into a laboratory to test the poisonous prescriptions of the American economist Milton Friedman. In 1985, Littín returned to Chile disguised as a Uruguayan businessman. He was desperate to see the homeland he’d been exiled from for so many years; he also meant to pull off a very tricky stunt: with the help of three film crews from three different countries, each supposedly busy making a movie to promote tourism, he would secretly put together a film that would tell the truth about Pinochet’s benighted Chile—a film that would capture the world’s attention while landing the general and his secret police with a very visible black eye. Afterwards, the great novelist Gabriel García Márquez sat down with Littín to hear the story of his escapade, with all its scary, comic, and not-a-little surreal ups and downs. Then, applying the same unequaled gifts that had already gained him a Nobel Prize, García Márquez wrote it down. 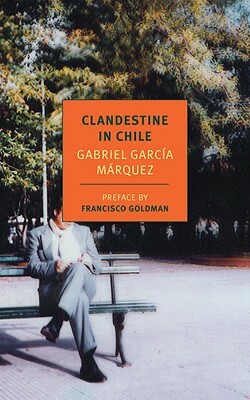 Clandestine in Chile is a true-life adventure story and a classic of modern reportage. Gabriel García Márquez (b. 1928) was born in Aracataca, Colombia. He began working as a reporter while studying law at the University of Cartagena and published his first book, the novella The Leaf Storm, in Bogota in 1955. Among his best-known subsequent works are the novels One Hundred Years of Solitude, Chronicle of a Death Foretold, Love in the Time of Cholera, and The General in His Labyrinth. In 1986 he wrote Clandestine in Chile: The Adventures of Miguel Littín, about an exile’s return to the repressive Chile of General Augusto Pinochet. The political revelations of the book led to the burning of almost 15,000 copies by the Chilean government. García Márquez has lived primarily in Mexico since the 1960s, and in 1982 was awarded the Nobel Prize in Literature. Asa Zatz was born in Mexico and has translated nearly one hundred books. He lives in New York. Francisco Goldman is the author of four novels, The Long Night of White Chickens, The Ordinary Seaman, The Divine Husband, the forthcoming Say Her Name, and one work of nonfiction, The Art of Political Murder.